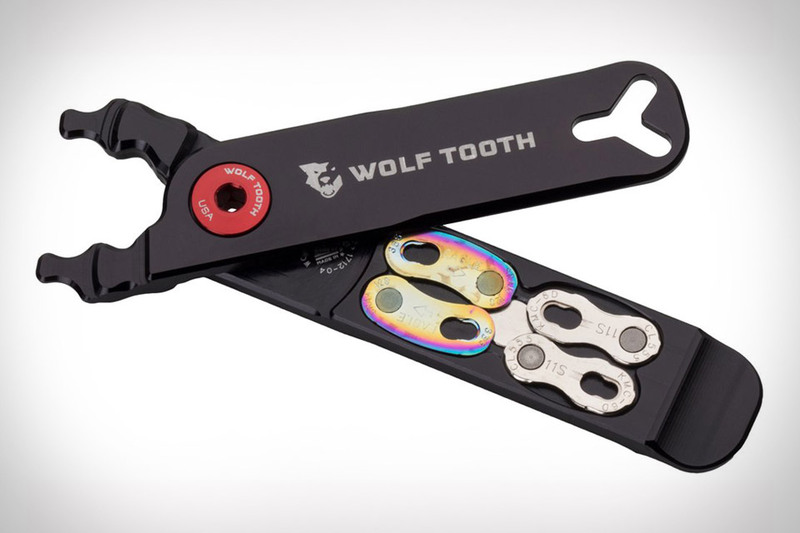 Instead of replacing your current cycling multi-tool, Wolf Tooth's Pack Pliers are meant to complement them. This lightweight tool is crafted from anodized aluminum, and functions as a tire lever, valve core remover, valve stem lock nut wrench, and master link pliers. That last skill is especially important since the handle is hollowed out, offering storage for two master links inside. It's compatible with 9, 10, 11, and 12-speed master links and chains from most major manufacturers, and is manufactured in Minneapolis. Having the proper tools on-hand during a fishing trip is essential. And The Fish Collection from Gerber has you covered, featuring 11 purpose-built, reliable tools. The collection is highlighted by the Freehander for one-hand engagement when cutting and securing your line, the Processor Take-A-Part shears to help you clean and gut your catch with ease, and the LineDriver which streamlines your fishing experience as an all-in-one line tool. Each item is built to last a lifetime and backed by the Gerber name. More convenient than a traditional combination lock, the Tapplock One Smart Padlock is also more secure. Using a capacitive sensor, it unlocks in under a second using your unique fingerprint. 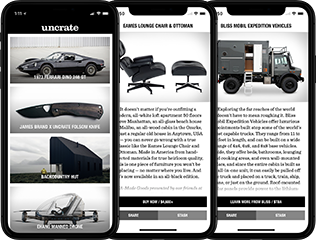 It can store up to 500 different prints for cases where multiple people need access, can also unlock via an app over Bluetooth, and has a Morse code-style fallback. The Zamak 3 zinc alloy body and cut-resistant stainless steel shackle are both water and weather resistant, and the battery lasts up to a year on a single two-hour charge. Available in silver, gunmetal, and black. Issued to soldiers fighting in the Pacific Theater during WWII, the Woodman's Pal is still the same dependable tool it was seven decades ago. This combination axe and machete replaces several tools at once, with an ideal balance that lets the 1/8" thick high-carbon blade feel natural as you swing and strike. It measures 17 inches long overall, with a leather handle, hand guard, an 8-inch concave edge, and a 2-inch hook, and arrives in a treated leather sheath alongside a sharpening stone. Made in the USA. You don't need a utility belt to tote around this grappling hook. That's because it's about the size of a keychain flashlight and is an ideal addition to your EDC. The mini grappling hook is just what you need to retrieve an item from a tree, your roof, or to recover a set of keys that have fallen into a hard to reach spot. It includes a rare-earth magnet mounted in the head for metal objects and is weighted to tip tail-up when stationary. Designed to make precise, delicate cuts in a variety of materials, the Wondercutter Ultrasonic Cutter is an ideal tool for model makers and others who deal with small details. To ensure a smooth cut, it oscillates its X-Acto-like blade 40,000 times per second, letting it sail through materials like plastic, wood, leather, and acrylic. A built-in rechargeable battery lets it operate anywhere, whether it's sitting on a table or clipped to your belt. Multi-tools work best when they're easily accessible. Doubling as a stainless steel belt buckle, the Sog Sync II Multi-Tool is always within arms reach. The device securely fits multiple belt widths but can be detached with just one hand. When unfolded, you'll see the most commonly used 11 components, which include everything from pliers to a straight blade. For those drawstring days, it can also be clipped onto a boot or backpack.